This one is it! 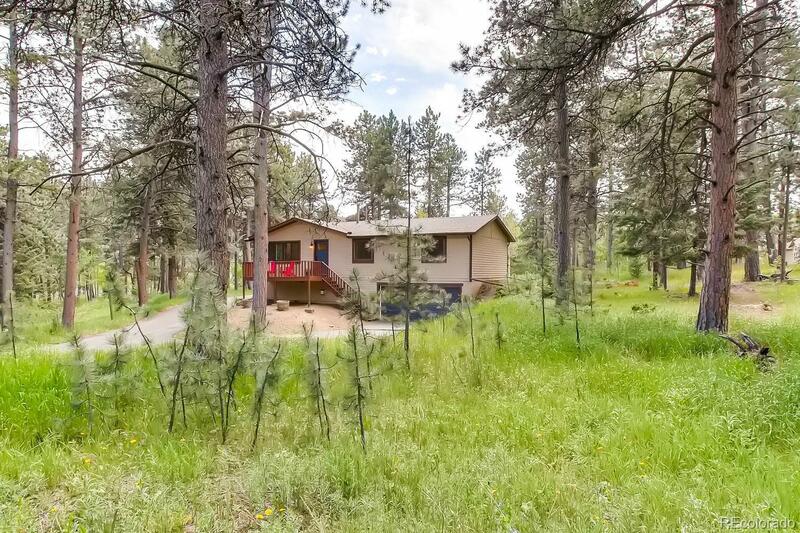 Imagine living in the mountains with a quick 30 min commute home from Denver at the end of the day and having easy access to all your favorite outdoor activities! This home has been completely remodeled from top to bottom - all new kitchen cabinetry & appliances, doors, hardware, trim, lighting, hardwood floors, carpet and paint. Check out the size of the kitchen island! The open concept great room makes it easy to entertain, and your guests can spill out onto the deck while you grill outdoors. The truly flat one acre property provides plenty of usable space and includes a bike track and is pre wired for a dog fence. The newly paved pull through driveway offers lots of off street parking for guests and your RV. You're a quick walk to the close by West Jefferson Elementary and Middle schools as well as retail, dining and the new frozen yogurt shop! Or, ride your mountain bike to the nearby Flying J or Meyer's Ranch open space parks. Hurry- this one won't last!